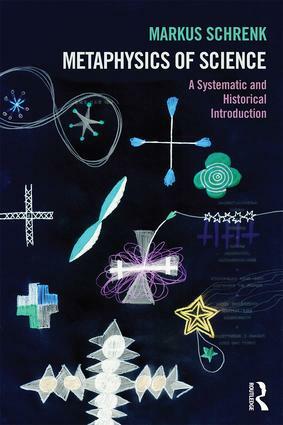 With the addition of chapter summaries and annotated further reading, Metaphysics of Science is a much-needed, clear and informative survey of this exciting area of philosophical research. It is essential reading for students and scholars of philosophy of science and metaphysics. "Metaphysics of Science is an ambitious book. It brings together an engaging overview of the history of the metaphysics of science with contemporary debates in the area. Senior undergraduates and graduate students will find it a most useful tool." "This is an excellent book, which implements a novel and deeply illuminating approach to the metaphysics of science." "The ongoing debate on the metaphysics of science (hereafter, MS) surely is one of the most exciting things in the philosophy arena these days. (…) Schrenk’s new book is a significant contribution in this direction. It aims to introduce the reader to key concepts of the MS, such as ‘‘dispositions, counterfactual conditionals, laws of nature, causation, properties, natural kinds, essence and necessity’’ (p. viii). Throughout it deals with an impressive range of arguments, and the author finely makes use of a vast knowledge of the literature, providing an up-todate account of some of the recent trends. (…) The community will certainly welcome Schrenk’s addition to the MS literature. The book can be recommended to both undergraduate and postgraduate students, as well as to lecturers teaching on the subject." Markus Schrenk is Professor for Theoretical Philosophy at the University of Düsseldorf, Germany. He is the author of The Metaphysics of Ceteris Paribus Laws (2007), co-author of Einführung in die Sprachphilosophie (2nd edition 2014), and editor of Handbuch Metaphysik (2016).